The installation, satisfy, is to emphasize “empty” in an object by extending the inside space of an object to the outside. 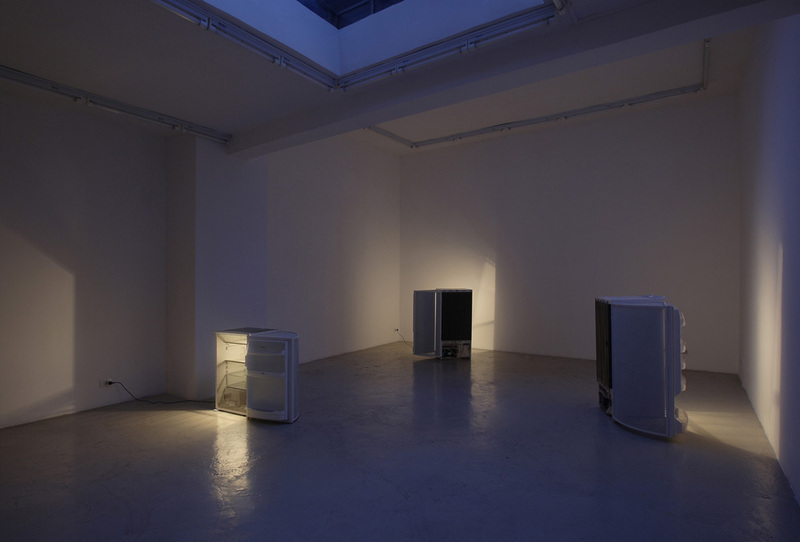 I used 3 refrigerators having each a space as an object-container as a metaphor for it. 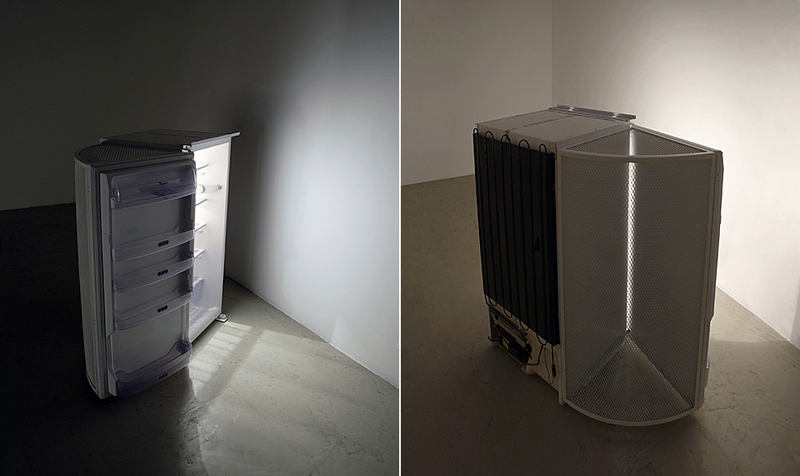 The title comes from the function of the refrigerator: storage of nutrition to fill emptiness. But on the other hand, the title also suggests of filling the space by steel cage, which has the same volume between a door and its body of the refrigerator.